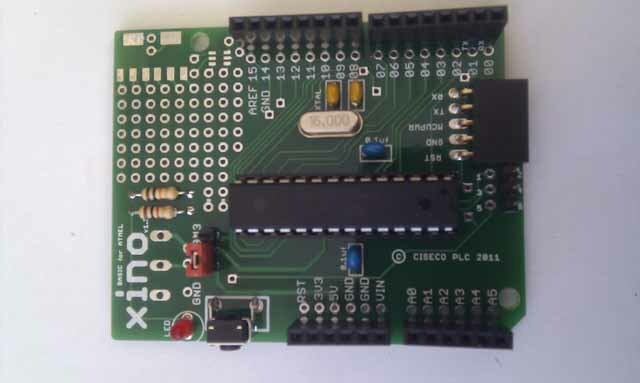 If you’ve used an Arduino board for a while and have projects built up using it then you may want to use a much cheaper board in your final application and keep the Arduino for development purposes. 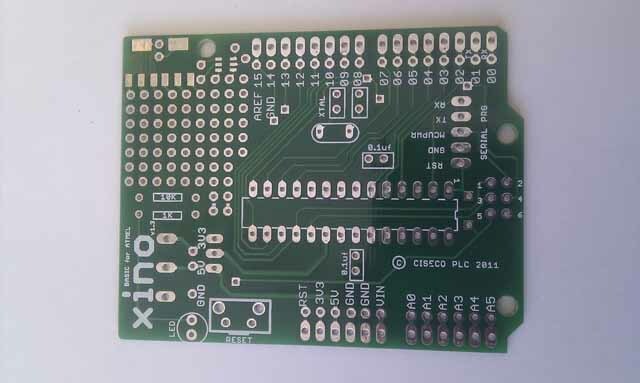 There are a number of soultions that could involve making our own minimal hardware using strip board, its cheap but can look ugly, or you can got for a minimal board such as the Xino Basic from Ciseco. See range in their eBay shop. The basic kit just needs the Atmega168 or Atmega328, 2 capacitors and a crystal to be fully functional. These extra parts are also available from their store if you don’t already have them yourself. 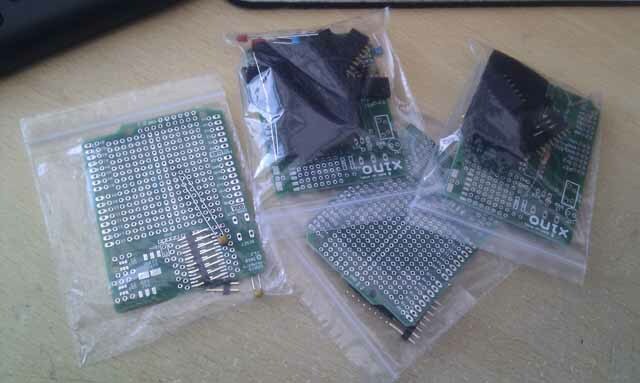 In the end I purchased 2 of the Xino basic kits and two ProtoX prototype boards. 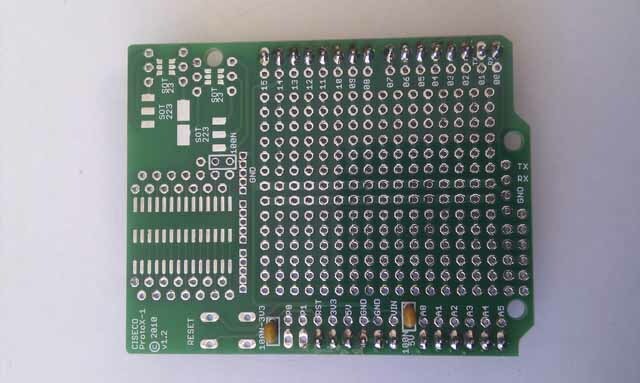 I already had a pare of spare ATMega168 that could be used. small prototype area including space for a 6 pin surface mount device. All the connectors have corresponding solder holes to wire into the prototype area. 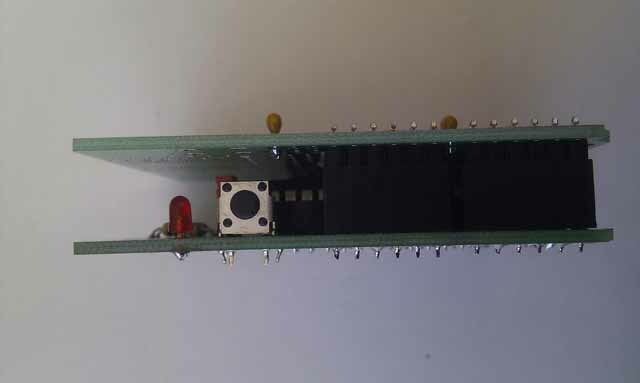 Single LED for power indication, no LED on digital pin 13. No voltage regulator, must be fed by either 5V or 3.3V but not both. A 3.3V regulator may be added on prototype area if a 3.3V supply is needed for a shield. 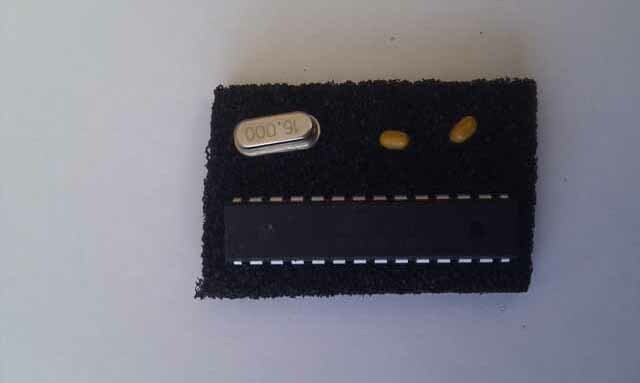 The prototype shields include a number of different size smd pads on the top and underside. 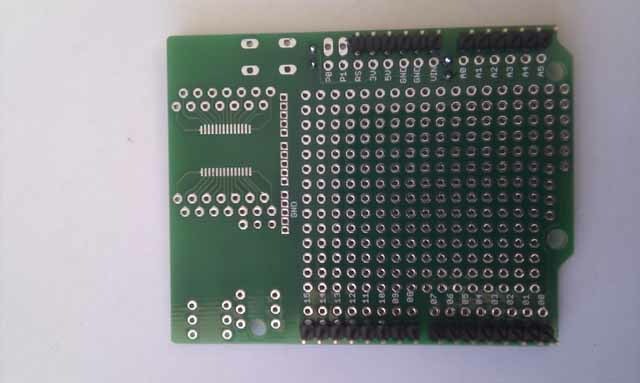 Includes headers so regular Arduino compatible shields can be plugged in, for example ethernet sheild. Building the boards was straightforward as no instructions were provided. 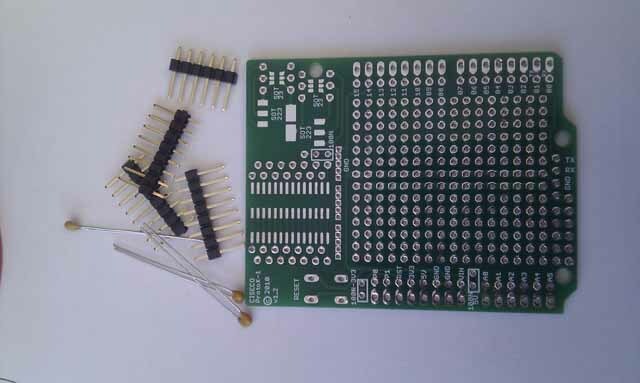 At the time of writing this, the suppliers website did not include details of these particular boards. 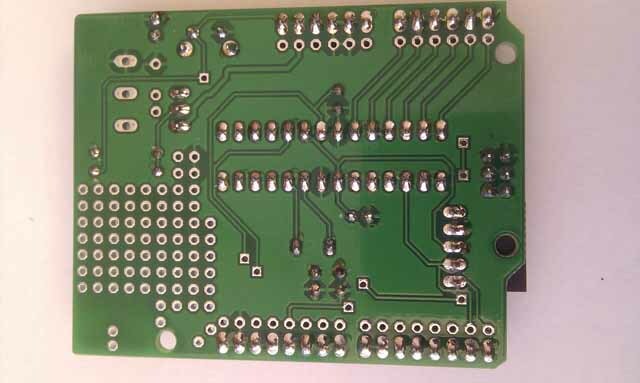 When building, the usual process is to populate and solder the components that are closes to the board first. In this case it as a pair of resistors, then the capacitors, crystal, socket, header sockets and pins with the reset button being last. The following photographs show the sequence. 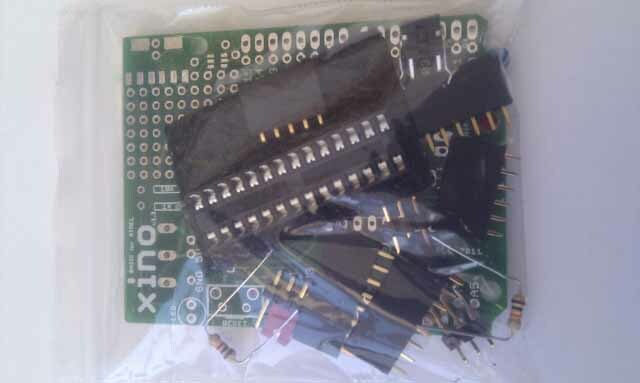 These are not for the manufacture or design of the board, but how the end-user would put them together differently by using different components. The main changes and updates would be for the ProtoX shield. If you plan on stacking other shields then replacing the header pins with stackable headers would be the best solution, headers are available here: 8 pin and 6 pin headers. Please note I have no connection with this supplier, other than being a customer. 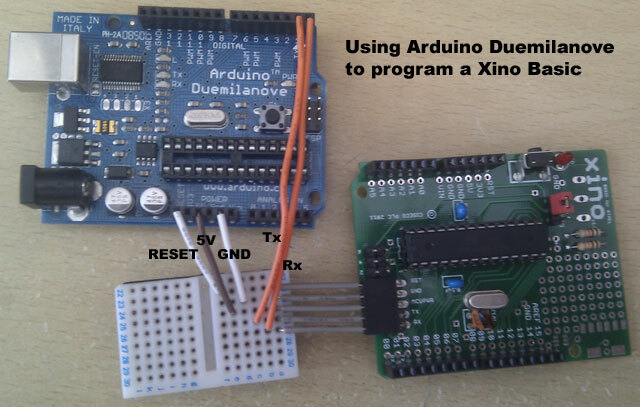 Pull chip out and insert into a proper Arduino for programming and development. 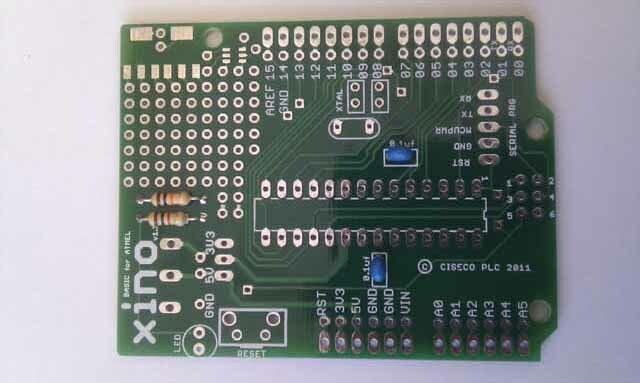 insert into Xino board when development complete. This is a cheap solution to those wanting to move a project from an Arduino to a more permanent solution. 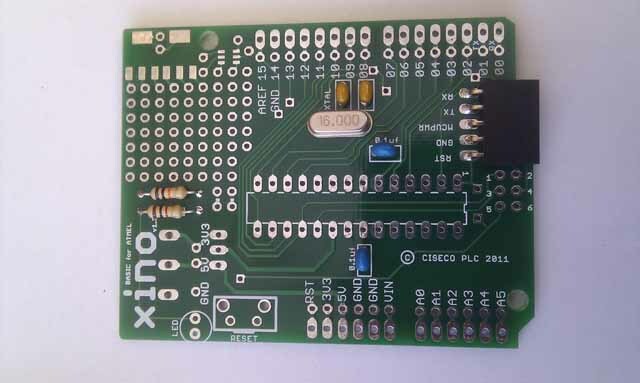 At around £8.20 you can have a functioning board that would replace your Arduino providing you are not using the FTDI part for communications with your PC. The PCBs are well made and of a reasonable quality, I’m no expert here, this is just my opinion. This is highly recommended kit for anyone wishing to make a project more permanent for little cost, thereby releasing their more expensive Arduino for other development duties. Thanks a lot for these suggestions! Just been starting with the arduino this year but already made some things I would want to keep, while using my Arduino board for making new things of course!